At 19, Kevwe Mowarin started working at Credit Suisse, expecting to build a career in investment banking. Instead, she noticed that all of the women around her were confined to ill-fitting suits in plain colors, devoid of personality or creativity. Most of the women around her, she said, dressed bland. “It was amazing to me that my peers, the men, had custom fitting options galore. 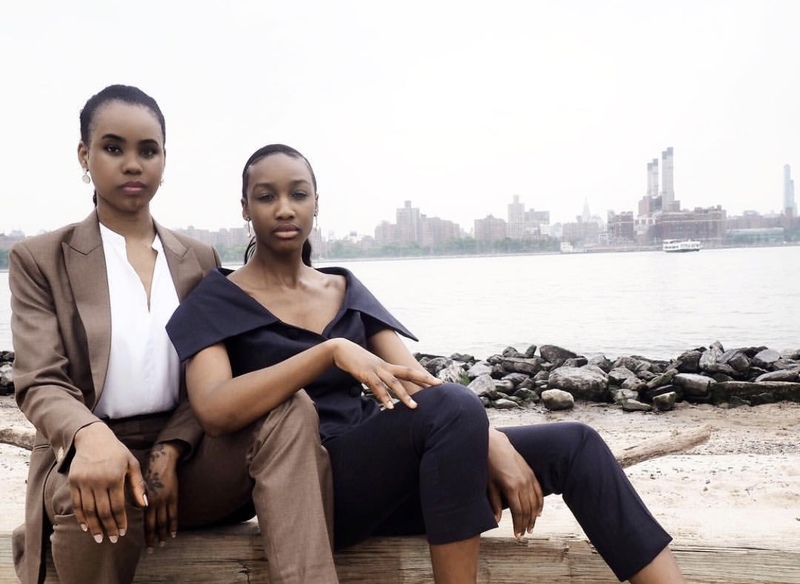 But for the women, it was very hard for us to find suits that fit properly, and suits that weren’t so old-fashioned and conformed to our modern standards,” Mowarin said. 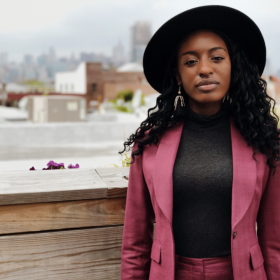 She started surveying her female co-workers and friends, and found that many women across other industries had the same issues she was seeing in finance. 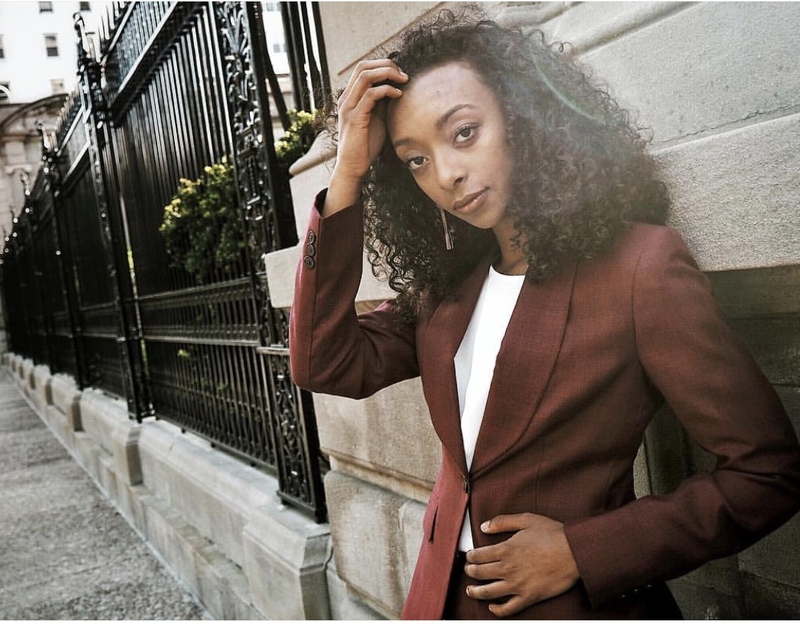 “In this day and age, with all of the women empowerment movements and so many women are rising in the ranks in their fields, and yet the number of options for suiting have stayed the same, which is relatively none,” she said. The result of her efforts is Koviem, her suiting atelier that runs mostly digitally. Women can go to Koviem’s website and use their smartphone or laptop cameras to take photos of themselves in mirrors or have friends take photos, so that SAIA 3D technology can measure them to 97% accuracy, using spacial referencing. Customers can then input personal preferences, such as a desire for longer sleeves or a baggier fit on pants. If digital measurement isn’t a customer’s preferred method of fitting, she also offers to send a measuring tape to a woman’s home or office so that they can measure themselves. Efficiency is a main component of Koviem’s business model, and Mowarin seeks to take up as little of her client’s time as possible. “As a banker, I was working almost 100 hours a week. There was no way that I would have the time to go into a suiting atelier and go do multiple fittings, but I still wanted the quality and the fit that I would get by visiting that atelier,” she said. Koviem uses imported wool, linen, cashmere and Egyptian cotton to create their suits—either bespoke styles that are pre-outlined on the website, or a completely custom designed suit. Colors extend beyond stereotypical black, grey and blue to embrace brighter hues like magenta, royal blue and forest green. There are structured blazers for a classic look, sleeveless blazers with deep necklines to accent collarbones, and long, collarless blazers for a striking, modern silhouette. Prices range from $329 to $550 for her bespoke pieces, and vary for custom orders. She partners with a tailor she met on a trip to Thailand in March 2017, and he is integral in her color and fabric selection process. He’s also able to handle female silhouettes in particular. “I boiled the ocean, pretty much, to find a tailor that’s trained in women’s suits,” she said. Mowarin is eloquent, and wise beyond her 23 years; her intelligence is evident just in her candor. She represents the modern woman. She was born in London, England, but is from Nigeria. 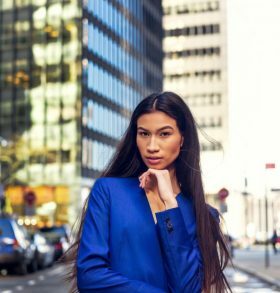 She went to The University of Texas at Austin and then studied abroad at Università Commerciale Luigi Bocconi to understand how luxury brands work from a business and finance perspective. She settled there in Milan for a time before ultimately moving to New York, where she now lives. She funds Koviem entirely on her own dime—without parental help or outside investment—using a savings account she set up before leaving Credit Suisse to pursue a different interest. “It’s an opportunity to exercise the creative side of my brain that just died in finance,” she said.